Wet Cleaning uses the universally accepted solvent water, specialized detergents and conditioners, alongside high-tech computer-controlled machines, to provide cleaning that is milder than common home laundry products. All the Mastercraft products are disposed of safely and are easily handled by local waste treatment facilities. So what about that “Dry Clean Only” label? We think it should be removed! Mastercraft has been successfully Wet Cleaning all garments and household items regardless of their “label” since 2007. We safely process cashmeres, fine woolens, rayon’s, and acetates. As part of the Wet Cleaning process, Mastercraft uses specialized pressing equipment with a drying temperature set to 110 degrees, which is significantly lower than common dry cleaning temperatures, which reach upwards of 150 degrees. The Environmental Protection Agency (EPA) states that Wet Cleaning is the safest professional method of garment cleaning because it does not generate any hazardous waste, does not utilize hazardous chemicals, does not create any air pollution, and has no potential for water and soil contamination. 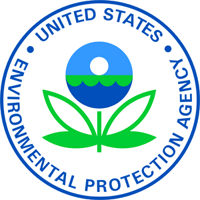 All cleaning products are approved by the EPA. Inspect for special buttons, trim, lace or anything that could be a problem. Hand wash in a mild biodegradable detergent in cold or warm water. After placing the detergent in the water and before you soak your garment, wet a white towel and test for bleeding on an inside seam. Watch out for Red or purple as they tend to bleed more often than other colors. Gently rinse until there isn’t any soap residue left. If soap is left it can ruin your garment. Gently wring out the majority of the water being careful you don’t stress the seams, hems or ornamentation. Spread a beach towel out flat on a table. Lay the garment out flat on top of the towel and gently roll up the garment squeezing the moisture onto the beach towel. You can now dry it in a dryer if you are sure you can take it out early with some moisture left in the garment. If you’re not confident with the dryer then hang it up to dry on a plastic hanger being careful to hang it so the garment isn’t stretched in the wrong places. Gently smooth out the wrinkles as best you can. Carefully press or steam your garment.